Transforming Travel combines stories from leading companies, interviews with pioneers and thinkers, along with thorough analysis of the industry's potential to make lasting, positive change. Written in a highly engaging style, Transforming Travel presents an urgent argument for transforming tourism so it might reach its potential to promote tolerance, restore communities and regenerate habitats, while providing a vital guide for anyone looking to develop the successful sustainable tourism enterprises and destinations needed to do so. 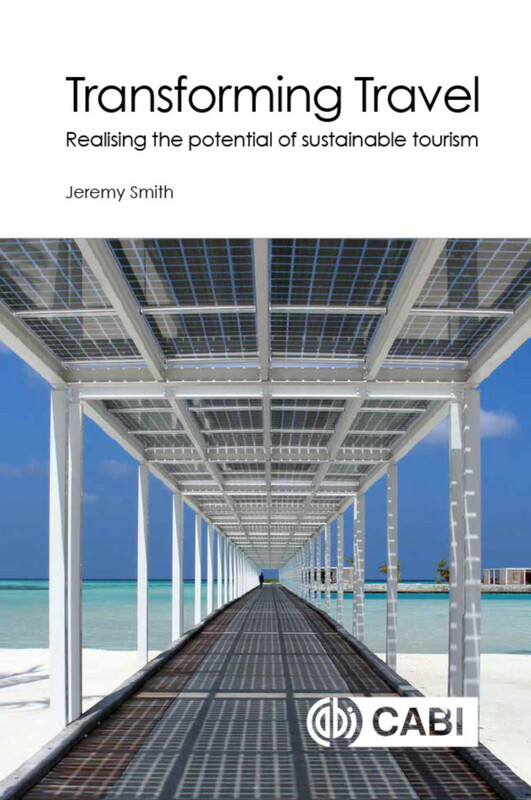 Jeremy Smith is a sustainable tourism writer, editor and communication strategist. He is editor and co-founder of the sustainable tourism communications consultancy Travindy and editor of Travindy.com, the first tourism industry news site to focus solely on sustainable tourism and the associated issues confronting the sector. He writes a fortnightly blog for World Travel Market on responsible tourism, and is part of their core team developing the annual program for World Responsible Tourism Day. He also writes World Travel and Tourism Council's monthly sustainable tourism newsletter. He co-wrote, with Richard Hammond of Greentraveller - Clean Breaks - 500 New Ways to See the World (Rough Guides, 2009). It was Rough Guides first (and only) guidebook dedicated to the best in sustainable tourism worldwide, selling over 30,000 copies. Responsible Tourism clients for whom he has provided communication services including copywriting, website design and communications strategy include Visit Finland, TUI, the Travel Foundation, South Downs National Park, the State of Gujarat, The Blue Yonder, PATA, Secret Bay, Fort Young Hotel, Fair Travel, Responsible Tourism Partnership, Ethical Travel Partnership, WWF and more. He has written for various travel publications, including TTG, Getaway, Green Hotelier, Greentraveller and Conservation Africa. Before specializing in sustainable tourism, he was editor of The Ecologist magazine, the world's longest running environmental publication, where he worked from 2001-2007.